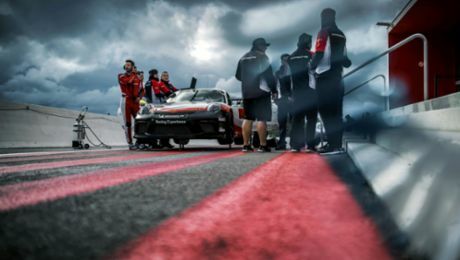 Herberth Motorsport has celebrated a podium result with the Porsche 911 GT3 R at the final round of this year’s Blancpain GT Series Endurance Cup in Barcelona, Spain. The all-German trio Jürgen Häring, Edward-Lewis Brauner and Wolfgang Triller concluded the season on second in the Am class for gentlemen drivers with the customer sport racer from Weissach. 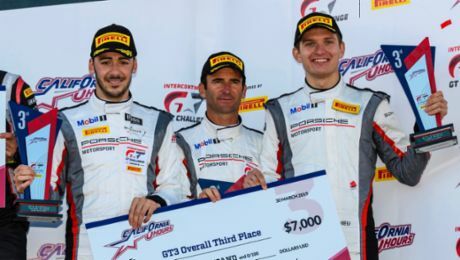 In the Pro category, the Porsche works drivers Romain Dumas, Frédéric Makowiecki (both France) and Dirk Werner (Germany) achieved tenth overall after a pursuit race through the field over the entire three-hour duration.